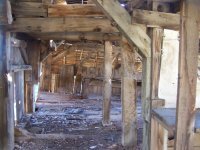 The GRI team visited the towns of Masonic and Bodie. We did experience a few things and tested out the new Ovilus PX on it's maiden voyage into the field. Masonic proved to be the real acid test for the ovilus and we did get some good EVPs while we were there too. A tour of local cemeteries and ghost hunting spots. Return to Pilot Hill for a solo evening investigation. Beermans is a restaurant/bar building with a huge footprint in Lincoln, California. The building dates back to the mid-1800s and has housed many businesses. Our investigation, with Jon, Spencer, Tony and Stephanie, yielded some interesting EVP evidence and a few strange photos. As of 10/24/10 we are still processing the last remaining audio and video before officially closing our our report on the case in early November. This is really a series of investigations running together as part of a large tour done across the Southwest during the period from 9/24 to 10/3 - The cases will be separated by location below this folder and then into the standard subfolders of photos/audio/video/reports. Smaller team investigation of Preston Castle with more of the facility being investigated. Investigation on our property of the haunt we live with daily. Attempts to acquire video and audio/photo evidence using DVR, full spectrum and audio on an overnight investigation to assess the nature of the haunt in the main ranch house. 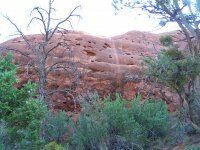 GRI's Phoenix group investigates the haunted Vulture Mine in Arizona. Karen Bergman led the team into an overnight lockdown in the Vulture Mine! 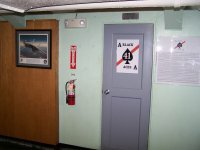 A day investigation underground of the Black Chasm Cave complex in Volcano, Ca. 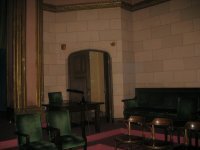 A pair of investigations of the Stockton Masonic Lodge from early 2010. One of the more extraordinary cases of the year with some very unique experiences on the first investigation.